1. One of the primary reasons redistricting reform is needed in Wisconsin is because of the secretive, hyper-partisan and expensive (to Wisconsin taxpayers) 2011 redistricting process that produced fewer competitive state legislative elections in which Wisconsin voters have a real choice in general elections and thereby now have to endure a far more unresponsive and arrogant Legislature. CC/WI compared the number of competitive State Assembly and State Senate elections in 2010 -- before gerrymandering -- with the 2012 elections. (We define "competitive" as general elections decided by 10 percentage points or less -- so no election with a greater spread than 55 percent to 45 percent). In 2010, there were 21 Assembly general elections that fell in the "competitive" category. Those occurred in Assembly Districts: 15, 20, 26, 37, 42, 43, 44, 45, 51, 57, 62, 68, 70, 72, 74, 75, 80, 85, 88, 93, and 94. In 2012, the number of "competitive" Assembly general elections fell by about 30 percent from 2010 to just 15. Those Assembly districts were: 1, 26, 37, 49, 50, 51, 62, 67, 68, 70, 72, 75, 85, 88, and 93. 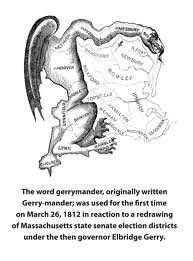 Opponents of redistricting reform continually and inaccurately complain that reforming this process didn't happen prior to the 2010 elections so why is there so much noise about doing it now? 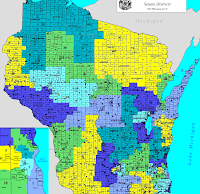 The answer is simple, obvious, and straightforward: There are many fewer competitive general elections in Wisconsin now as a result of the 2011 gerrymandering. That, and the fact that the process is now intolerably hyper-partisan, secretive and a massive rip-off of Wisconsin taxpayer money. 2. 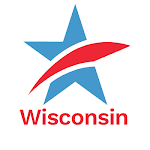 A recent article by Bill Lueders of the Wisconsin Center for Investigative Journalism shows that numerous citizens have contacted Republican state legislative leaders and the chairs of committees with jurisdiction over redistricting reform legislation demanding public hearings. Many others have written to newspapers supporting hearings, and the number of citizens opposing either redistricting reform or public hearings is negligible. Instead of abating, the demand for action on this reform is rising. Common Cause in Wisconsin and the League of Women Voters of Wisconsin have been relentless in calling public attention to the need for redistricting reform and for public hearings -- and we are not about to stop now. Neither are most of Wisconsin's daily newspapers, like the Wisconsin State Journal, which yesterday editorialized: Earth to GOP: Hold a hearing now. 3. The continuing, unfolding revelations in yet another secret "John Doe" investigation of possible illegal campaign activities by Governor Scott Walker's campaign and outside special interest groups supporting his re-election during the 2012 recall election is about many things. But central to it is the vast and increasing amount of secret and undisclosed money that flowed in that election and which continues to pollute and undermine the integrity of Wisconsin's statewide and legislative elections. The Governor and Legislature could act tomorrow (or even today) to disclose much of this secret money by calling up and acting on bipartisan electioneering disclosure legislation, Senate Bill 166, which was introduced last April by State Senators Mike Ellis (R-Neenah), Jon Erpenbach (D-Middleton) and State Representative Dean Kaufert (R-Neenah), with consultation and the strong support of CC/WI. Enactment into law of this critical measure would go a long way toward eliminating much of the mystery, and therefore the possibilities for illegal wrongdoing, that the latest criminal investigation is digging up. Just as important, Wisconsin citizens deserve to have the same right that citizens in many other states (including Illinois) currently have in knowing who is trying to influence their vote at election time. Secret money in politics very often leads to wrongdoing and scandal. Senate Bill 166 would help reduce much of this secretiveness. Today, Thursday, is (mercifully) the last floor session day for the Wisconsin Assembly in 2013. There is a lot jammed onto the calendar, and the session will likely not end until Friday morning, if then. This is a horrible way to do what is supposed to be the business of the citizens of Wisconsin, but that message never seems to resonate with those who wield the gavels of power. First, the good news: Assembly Democrats will attempt a "pulling" motion to bring the non-partisan redistricting reform legislation, Assembly Bill 185 -- that Common Cause in Wisconsin has been relentlessly advocating for without pause since the beginning of this year -- to the floor of the Assembly today (tonight or tomorrow) for a vote. The "pulling" motion is necessary because the Assembly Republican leadership has obstinately and arrogantly refused to even schedule a public hearing on the measure -- despite unprecedented support for AB 185 (and its counterpart, Senate Bill 163) from citizens and from nearly all of Wisconsin's daily newspaper editorial boards. So, on this last floor session day of 2013, the pulling motion will be tantamount to a vote for support for redistricting reform or against it. Now, the bad news. As we reported to you earlier this week, the Assembly will also vote on a "new" voter photo ID law -- Assembly Bill 493 -- that Wisconsin does not need and which is a blatantly partisan attempt to make it more difficult for certain segments of Wisconsin voters whom Republicans suspect of being more likely to vote Democratic, to be able to vote at all. Senate Majority Leader Scott Fitzgerald (R-Juneau) wisely delayed consideration of any such measure until next year -- and after the current trial of Act 23, that is now occurring in Federal Court in Milwaukee is completed. Common Cause in Wisconsin opposes Assembly Bill 493. Also on the Assembly calendar schedule for today is another ill-conceived, ill-advised and absolutely unnecessary measure that greatly shortens the time that Wisconsin voters will be able to cast "in-person" absentee ballots prior to election day. Assembly Bill 54 was designed for one purpose and one purpose only -- to provide fewer opportunities for voters who live in Wisconsin's most populous counties and who might tend to vote more for Democrats than Republicans (particularly Milwaukee and Dane Counties), to cast a ballot at all before or on election day. There is no call by election clerks for this legislation or any call by voters for it. It is designed exclusively to advantage Republicans running for office and disadvantage Democrats. Common Cause in Wisconsin opposes Assembly Bill 54. Now we need you, the citizens of Wisconsin, to weigh in today! Please contact your State Representative and urge them to support the pulling motion for Assembly Bill 185 and to vote against Assembly Bill 493 and Assembly Bill 54. If you are not sure who your State Representative is, go here. Thanks for actively supporting good government in Wisconsin. 1. In a time span of less than two weeks, Assembly Republicans have introduced, rushed through committee and scheduled for a vote (on Thursday), a revised photo ID measure -- Assembly Bill 493 -- on the last day of floor action in the Assembly in 2013. Why? Because they realize the photo voter ID law they passed and had enacted into law in 2011, Act 23, is very likely unconstitutional and will never be in effect in Wisconsin because it is far too extreme and restrictive. That matter is being litigated right now in federal court in Milwaukee. So the GOP wants to pass AB 493 -- a completely partisan Republican measure -- to appease their base before going home until January. The Republican-controlled State Senate wisely went home Tuesday without considering any new photo voter ID measure because they say they want to see what happens with Act 23 first. Assembly Republicans (and only Republicans) have crafted a slightly different version of Act 23 which contains a couple of exceptions to having to produce one of the very narrow array of proscribed photo identification forms. 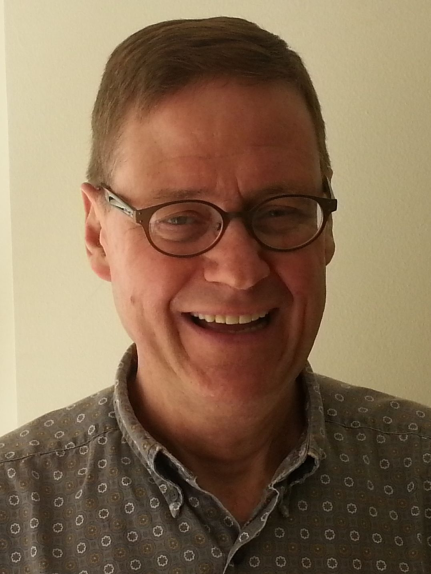 AB 493 allows for the ability to sign an affidavit in lieu of producing specific forms of ID at the polls, but only if the voter swears that they are too poor to be able to afford any costs associated with getting documents needed to get an ID, something they know many people would be reluctant and even resistant to doing. Why? Because it is demeaning and insulting for almost any person to go before someone in public and have to sign a statement saying they are indigent. And the Republicans know that. If they are the least bit serious and sincere about providing a legitimate affidavit option to voters without the proscribed photo ID, then they would have provided for an unconditional affidavit such as Michigan does with their Photo ID Law -- which says that if you do not have the proscribed form of photo identification in order to vote, you can simply sign the affidavit that says you don't and your vote is counted like all other votes, not "marked" or labeled and set aside such as AB 493 stipulates it must be. Assembly Republicans don't say it, but what they are really seeking is permanent partisan advantage. That's why they insist on enacting into law one of the most restrictive and extreme photo voter ID laws in the nation -- more extreme than in Alabama, Mississippi, Louisiana, or South Carolina -- states with a long history of denying many citizens the vote. Those deep south states allow more forms of ID to be be used to vote than AB 493 or Act 23 does. The Milwaukee Journal Sentinel got it exactly right Tuesday when they editorialized against this latest partisan attempt to restrict voting, and asked when are the public hearings on Senate Bill 163/Assembly Bill 185 --- non-partisan redistricting reform legislation. 2. In the aftermath of the Common Cause in Wisconsin Reform Forum in Stevens Point on October 28th, which saw between 250 and 300 citizens attend, there is further renewed interest and momentum behind redistricting reform which we -- and most of Wisconsin's major newspapers -- have been pushing relentlessly for the last six months, and particularly since August. One of the most aggressive advocates for non-partisan redistricting reform has been the Beloit Daily News and their most recent editorial on the subject deals with how Wisconsin taxpayers are being ripped off under the current system of partisan gerrymandering. Read it and get mad and demand that your State Senator and your State Representative make non-partisan redistricting reform a priority and that public hearings be held now. To contact your state legislators, go here. If you are not sure who they are, go here. Stay tuned for exciting news about redistricting reform public hearings! 1. The huge turnout of more than 250 citizens attending our Reform Forum in Stevens Point last week provided new and growing evidence of extensive citizen support and momentum for non-partisan redistricting reform legislation (Senate Bill 163 and Assembly Bill 185) that has been stalled by State Senate Majority Leader Scott Fitzgerald (R-Juneau) and Assembly Speaker Robin Vos (R-Rochester) since its introduction last April. Both apparently fear this needed reform so much that they continue to refuse repeated requests by CCWI and almost every major newspaper in Wisconsin to allow even a public hearing on the legislation. Clearly, the citizens at UWSP and most Wisconsinites feel otherwise. 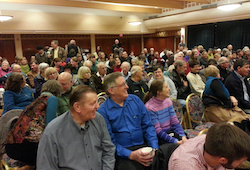 Recently, the Kenosha News editorialized about increasing citizen interest and support for redistricting reform as evidenced by the big crowd at the CC/WI event last week. The Wisconsin State Journal weighed in yet again on the need for public hearings on redistricting reform. And CC/WI Board Chair Bill Kraus shared his insights on the matter on our blog site and elsewhere. Meanwhile, the cost to Wisconsin taxpayers for legal fees to high-priced lawyers for the most partisan, uncompetitive and secretive redistricting process in Wisconsin's history has been confirmed to be more than $2 million according to this report from the Milwaukee Journal Sentinel. 2. In 2011, the Wisconsin Legislature passed, and Governor Scott Walker signed into law, the most extreme and restrictive voter photo identification law in the nation. Since then, North Carolina has enacted into law a measure even more extreme. Wisconsin's law (Act 23) was so pernicious that it was almost immediately challenged and enjoined by state and federal courts. It was in effect for only the Spring primary election in 2012. This week, the Wisconsin law "goes to trial" in federal court in Wisconsin and the entire nation is watching. CC/WI submitted a brief of Amici Curiae in the case of Jones v. Deininger, et al., 12-CV-00185 (LA), which you can read here. 3. While Act 23 was about to go to trial last week, Assembly Republicans, with the approval of Speaker Robin Vos, began circulating new photo voter ID legislation for introduction and consideration this month. The new measure is just about as restrictive and extreme as Act 23. But Senate Majority Leader Scott Fitzgerald wisely announced that the State Senate would not be considering any new photo voter ID legislation this year -- and not until the outcome of this week's trial was known. Vos, meanwhile, wants to go ahead with the new measure. We are sure he will grant a public hearing to new, restrictive voter legislation. But what about non-partisan redistricting reform measures? Here is how you can contact Speaker Robin Vos and let him know how you feel about that kind of heavy-handed maneuver!